Lawyers for the leader of the Movement of New Forces party, former Georgian President Mikheil Saakashvili, have filed a statement with the National Anti-Corruption Bureau of Ukraine (NABU) requesting the opening of criminal proceedings against Head of the State Border Guard Service Petro Tsyhykal, Head of the State Migration Service of Maksym Sokoliuk and Head of the National Police Serhiy Kniazev due to abuse of power during Saakashvili's expulsion from Ukraine on February 12. The defense team filed a respective statement with NABU on Thursday, February 22, lawyer Ruslan Chornolutsky told Interfax-Ukraine. "In our opinion, on February 12, these individuals committed a criminal offense. We ask for information to be included in the single register of pre-trial investigation regarding the commission of such a criminal offense, namely abuse of power, that is, intentional, with the aim of obtaining undue benefit for themselves and other persons, as well as the use of power by officials contrary to the interests of service that caused significant damage to the rights, freedoms and interests of individual citizens protected by law. These individuals adopted and implemented an illegal decision on Mikheil Saakashvili's transfer through the state border of Ukraine," reads a statement by lawyers. Earlier on February 22, Chornolutsky said that Pechersky District Court of Kyiv had ordered the police to initiate an investigation on an application filed by Saakashvili's lawyers about his abduction and illegal expulsion from Ukraine. In July 2017, Ukraine's President Petro Poroshenko stripped Saakashvili of Ukrainian citizenship while the latter was in the United States. 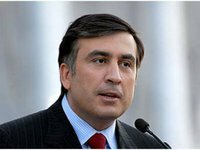 On September 10, Saakashvili, surrounded by his supporters, crossed from Poland into Ukraine, breaking across the border.